My 18-month-old girl, Tatler Turnberry, (Ch. Sir Darnley´s Undercover Urchin ex. 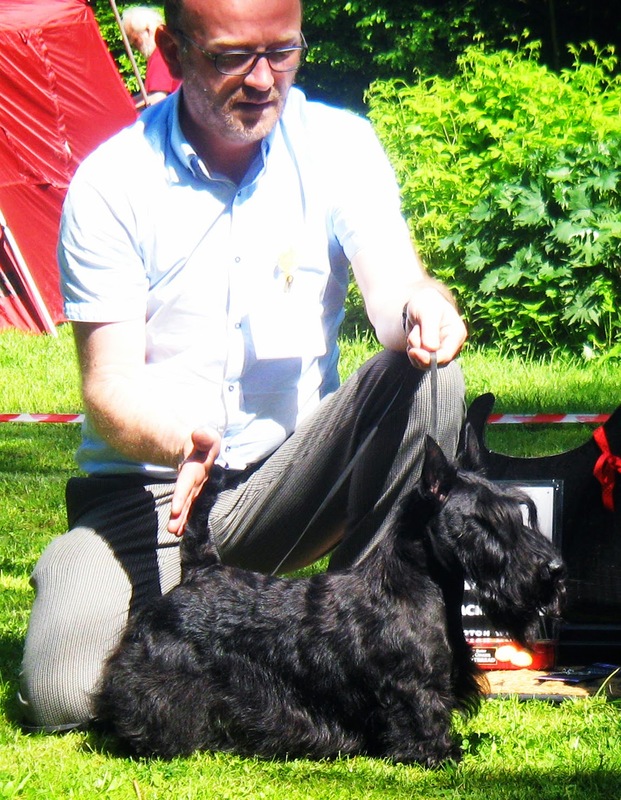 Pocket´s Rocket) won BIS-Intermediate at the Norwegian Scottie Special today, and finished as BB2, under breed specialist Veli-Pekka Kumpumäki, Finland (Kennel Perhaps). 25 entries. Feeling very happy! Sir Darnley's Windsor Wizard wins UK-CC!